Electronic commerce, commonly known as E-commerce, is trading in products or services conducted via computer networks such as the Internet. 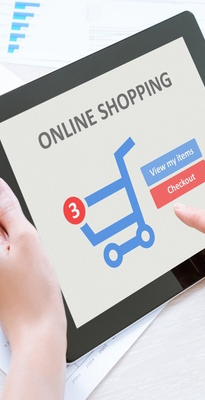 Etail or "virtual storefronts" on websites with online catalogs, Buying or selling on websites and online marketplaces which allows consumers to directly buy goods or services from a seller over the Internet using a web browser. We at ULTIMATE ITPL develop e-commerce websites, shopping carts for global clientele. Our own developed shopping cart platform is easy to integrate, customizable and user friendly. Integration with payment gateway is made easy, also with CMS for client to manage his own products, categories, sub categories, inventory & order records.